A navigation menu is a listing of links displayed on your site. Well-structured website navigation and organized content give a site good conversation to the site visitors, which help them to quickly find what they are looking for from the first moment they enter your blog. Navigation links can be links to pages, posts, or categories within your site, or can be linked to other sites. As well, you can define navigation menus on your site through the use of the built-in feature in WordPress called Custom Menu and Appearance Menus Screen. These are very easy techniques to improve the navigation of your blog and visitors will find more blog’s content, which ultimately gives your blog more traffic. 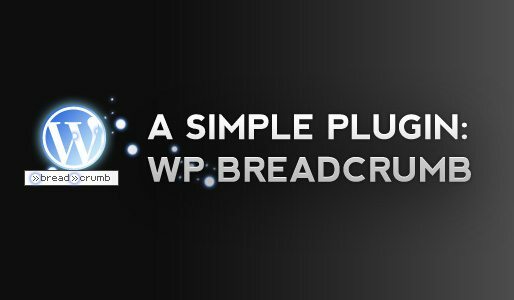 Want to add custom breadcrumbs to your website? Here’s the easiest way! Just a few clicks & you have customizable breadcrumbs at your service. Different models to choose from & the possibility to choose the font, font color, font size, hover state & more. There is a << Next and >>Previous links at the bottom of each and every WordPress powered home page. This should be links to page 2, 3, 4, and 5, with options to jump to the end, the next 5, or back again. Otherwise with default WordPress << Next and >>Previous links, to get to “page 5″ you have to click 5 times. That’s either going to make visitors leave your blog pretty quick, and keep a lot of users from getting to a lot of your content. To solve this problem, You should have a linked list of pages (like google) that says “this is page 1 of…” and links to “2, 3, 4, 5, etc”. It’s easy to fix this with plugins like WP-PageNavi or WP-Page Numbers. A true 2-in-1 product. Turn your long Posts and Pages into beautiful looking slideshows, as easy as inserting a few tags, by the click of your mouse. You can choose between 3 different transitions; Horizontal Slider, Vertical Slider or Fade. The Horizontal and Vertical slider can be combined with 32 jQuery Easing Effects. And you can choose between 6 different navigation templates and even customize it yourself if you feel like it! 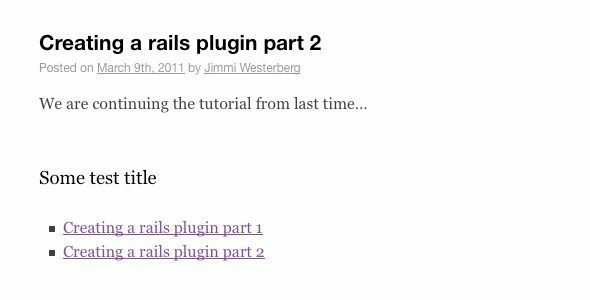 The above plugins do not work for the single post but by default WordPress’s “single.php” file shows a linked title to your previous and next posts. You can modify according to your theme design and can make them prominent to visitors which are mostly coming from Search engine, so they will come to know what is next and previously posted on your blog. The above code will Blod the text “Post before this” and “Post After This. Have you ever wanted not to show pages in the menu? Or wanted to restrict access to certain Pages, Posts, Custom Post Types or Categories based on the User Role level? 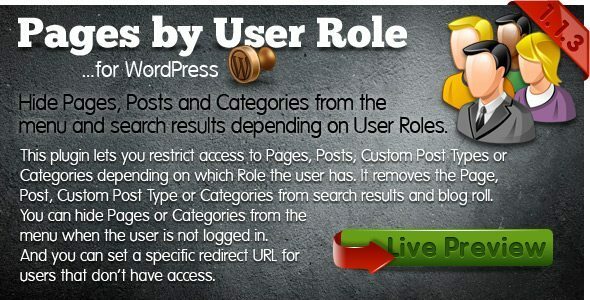 We have made this very easy with Pages by User Roles for WordPress. This plugin lets you restrict access to a Page, Post, Custom Post Type or Categories depending on which Role the user has. It removes the Page, Post or Custom Post Type from search results and blogroll. You can hide Pages and Categories from the menu when the user is not logged in. After you write the post, you can choose a few extra options before you publish it for the entire world to see. Excerpts are short summaries of your posts that encourage the reader to click the Read More link to read the entire post. By default there is Excerpts box down the Post content box, type your short summary in the Excerpt box. Excerpts have no word limit, but the idea is to keep them short and sweet. On your homepage, you can use the Homepage Excerpts plugin to achieve this. On all other pages, just the “the loop” and change the_content to the_excerpt. By using this plugin you can change the home page to excerpts, If you want to know how to customize and hack the theme code, you can find this information on the WordPress Codex page “Customizing the Read More”. This plugin is the ultimate companion for people who use the multi-page capabilities of WordPress. Easy to use fully integrated into the WordPress visual editor (TinyMCE) (WordPress 2.5 and above) and simple to use options page to create great navigation links. No coding required !!!! This function gives you several pagination options choose from simply previous and next links, page title links and numbered links. Quick jump options include a drop-down menu or a list menu using page numbers or page titles. New option to display all pages on a single page (ALL page link). New option to have a custom separator between pages on the single page view, great for adding advertising code or just to make it look pretty. New option to display navigation on multipage pages as well as posts. With this function, you can quickly and easily display how many pages a particular post has on your index page. Choose from 3 formats ( 1 of 2 , Page 1, 3 pages). More Detail: WordPress hack 5 to improve navigation. Following Related Posts plugins automatically inserts the related post block after your content, and you don’t have to paste any code in your template or theme files at all. This plugin is based around the concept of lists. You can create a list, then assign posts to it. (A post can only be on one list.) When a list is created, you edit the blog posts and assign them to the list. When a blog post is assigned to a list, they can be listed in your blog posts. This plugin differs from the other ones out there because it does no magic! (And that’s a good thing). You have to create a list. Assign various blog posts to that list. You have complete control of your related posts, making this plugin a great asset when you create a series of blog posts, with different parts or chapters. Yet Another Related Posts Plugin (YARPP) for WordPress gives you a list of posts and/or pages related to the current entry, introducing the reader to other relevant content on your site. Key features include: The YARPP templating system puts you in charge of how your posts are displayed. If you’re interested in some other options, check out Customizable Post Listings, Random Posts, and WordPress plugin: Related Posts. By creating a unique post you should be showing your visitors your most valuable content. 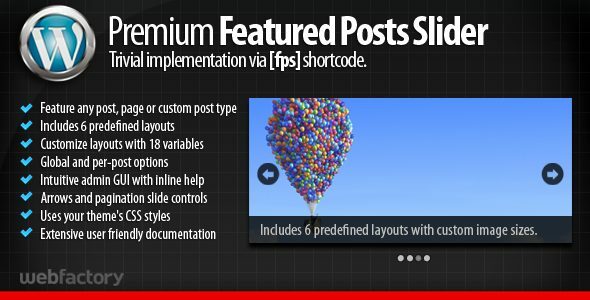 a great plugin called WP Post Views that has a sidebar widget that can display your most viewed posts! This is a great way to showcase your best posts and keep people on your blog. ConMe enables you to group your WordPress contents (post / page / category / other post type / other taxonomy). You can easily manage your content into a Featured / Favorite / anything group. You can easily put the created group into Page or Post, and also be using the Sidebar Widget. 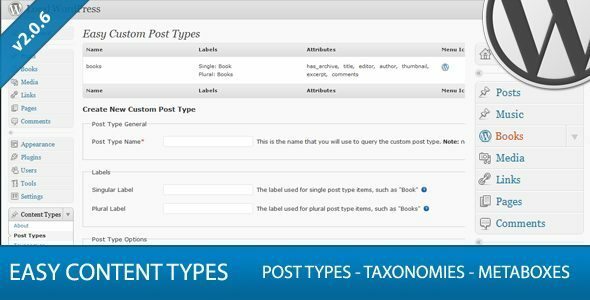 This plugin will completely remove the difficult task of manually creating custom post types, taxonomies, and meta boxes. You’ll never have to touch another bit of complicated code again. 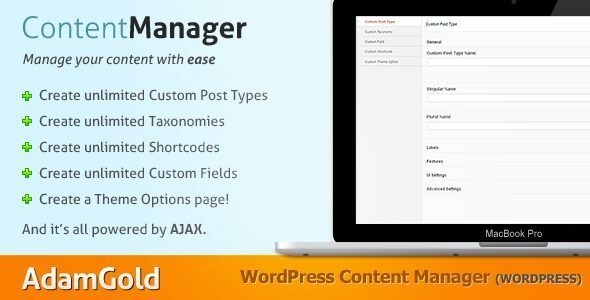 WordPress Content Types Manager makes creating advanced content for your blog/website child’s play. Simply install the plugin on your theme to create a more dynamic user experience, with no code editing. 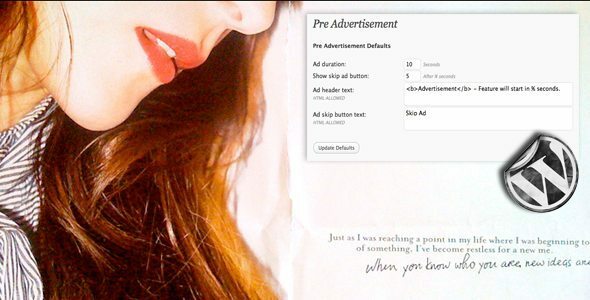 This WordPress Plugin allows you to show an advertisement before showing the actual post. The plugin first loads an advertisement and shows a countdown. As soon as the countdown finishes the actual post gets loaded. You can add any type of advertisement ( Image, Flash, Video, Text, … ) as the advertisements are just normal posts. You can even include a full post as an advertisement. WordPress is full of wonderful settings built-in to allow for greater control over the material going into your posts. 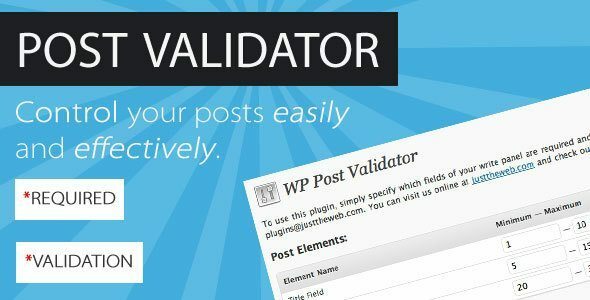 However, if you run a site with more than one author or you do not have time to moderate every detail about a post before it gets publish: WP POST VALIDATOR is the answer. 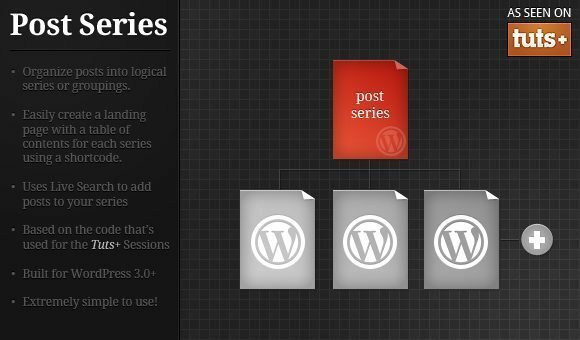 The Post Series plugin creates a custom “series” post type and then builds the necessary interface to properly utilize it. Based on the same code that Tuts+ uses to create their sessions, but with some enhancements to the code base. Show off your content the real way – in a slider! This is the best option to assign images to the category names and display them instead of the text. Having categories linked with images which is a great way to get visitors to view everything else you have posted in that category. Assign images to the category names and display them instead of the text. If you want to read in detail and want to know how to do it, read this article WordPress Theme Hack Show Category Images. After installation of this plugin, you can assign icons to categories, which will be displayed next to the category title. This plugin is also used here at WPPG, and as you can see this plugin made a very nice graphical change to this blog. Just check the icons at the left of our post titles – see the post title above, with a ‘box icon’ which is assigned to the ‘various plugins’ category, the small icons positioned right to the menu options in the dropdown menu’s (in the blue navigation bar). There are many options for customizing WordPress sidebar, and most bloggers seem to just list categories, archives, and a blogroll. Check out all of the WordPress Widgets available, the WordPress Codex page for “Customizing Your Sidebar”, and especially the WordPress plugin iFrameWidgets. A clean, easy to integrate, reusable tabbed content area for your WordPress themes! Reusable, add as many as you want on the page! This is a technical but very useful plugin which will help you to customize your WordPress website sidebar with different widgets for each page, post or category. easySite infinite sidebars plugin is compatible with the 4+ version of WordPress. Also, this plugin can detect and applies to any custom post defined in your theme or plugins. Give WordPress Admin interface a complete transformation with Friendly Admin Menu. Use it alone or in addition to the default WordPress Admin Menu. Easy to use and a more logical menu layout using a tabbed interface with large icons. Uses built in Jquery library to keep it lightweight and fast loading, does not add any code to your themes. 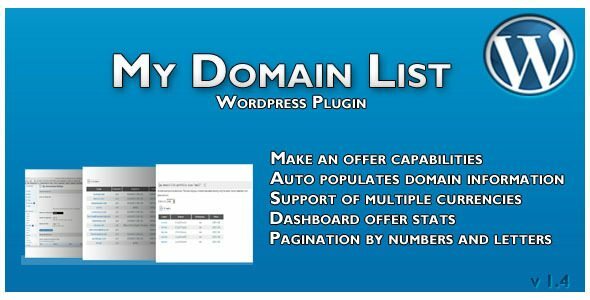 The My Domain List Plugin for WordPress allows domain owners to manage, promote and sell their inventory of domains. If you are not interested in selling your domains, My Domain List plugin also helps you manage your list of inventory keeping track of expiration dates and domain registrars. A suite of WordPress plugins that cater for corporate multi-lingual websites. It allows specific country level user control, a detailed post revision mechanism and a host of other features. You can: Set up the plugin with all the countries you want posts/pages translated into. Designate users as specific country level users, giving them access to only translate their own language. Allow a page/post to be published, while a newer version of the page is worked on in the background. The latest version of WordPress has gone gold and ships with an amazing new menu manager that can be used to control the navigation menus of your website. Hope after reading this post, you will make better navigation and your visitors will stay longer on your blog, please comment if you have something to add or a question!